Saand Ki Aankh Goes On Floors ! 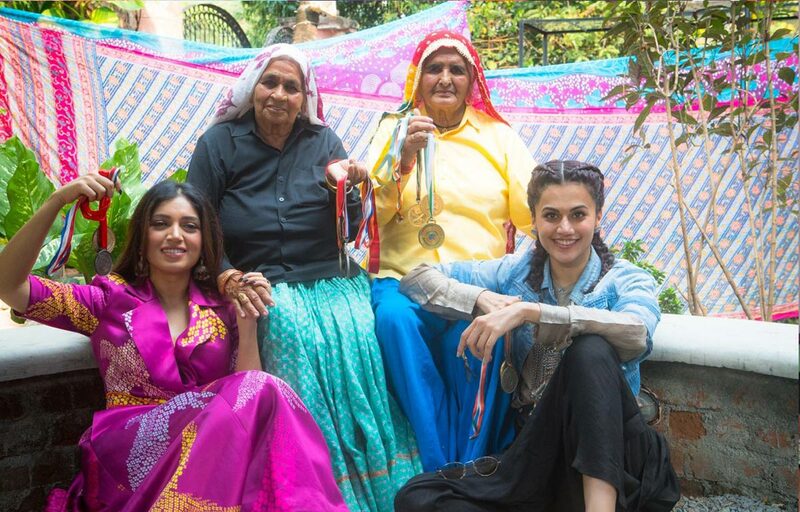 Reliance Entertainment ,Anurag Kashyap, Nidhi Parmar & Chalk n Cheese Films join hands to produce ” Saand Ki Aankh” starring Taapsee Pannu & Bhumi Pednekar. Following the exciting story of the world’s oldest sharpshooters Chandro & Prakashi Tomar, the drama marks the directorial debut of acclaimed scriptwriter Tushar Hiranandani . Says Shibasish Sarkar, Group CEO, Reliance Entertainment, ” This was a story that deserves to be told and we at Reliance Entertainment are excited to see this manifest on the big screen”. On a high note adds producer Nidhi Parmar , ” From winning medals to winning hearts ,make way for these revolver dadis”.